NEWSFLASH!!! 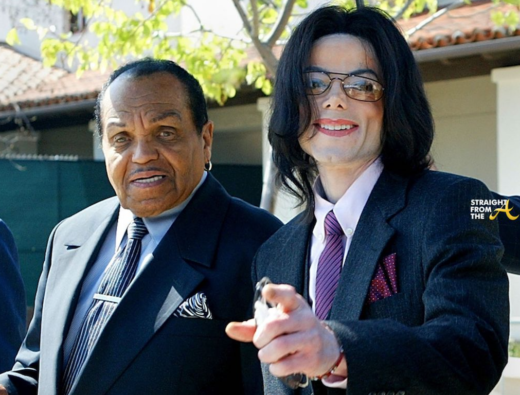 You talked… Janet Jackson listened! Just a few days ago it was revealed that several fans who shared their Unbreakable tour experience on social media had lost their accounts due to Jackson’s camp filing ‘copyright complaints’ (click HERE if you missed that). 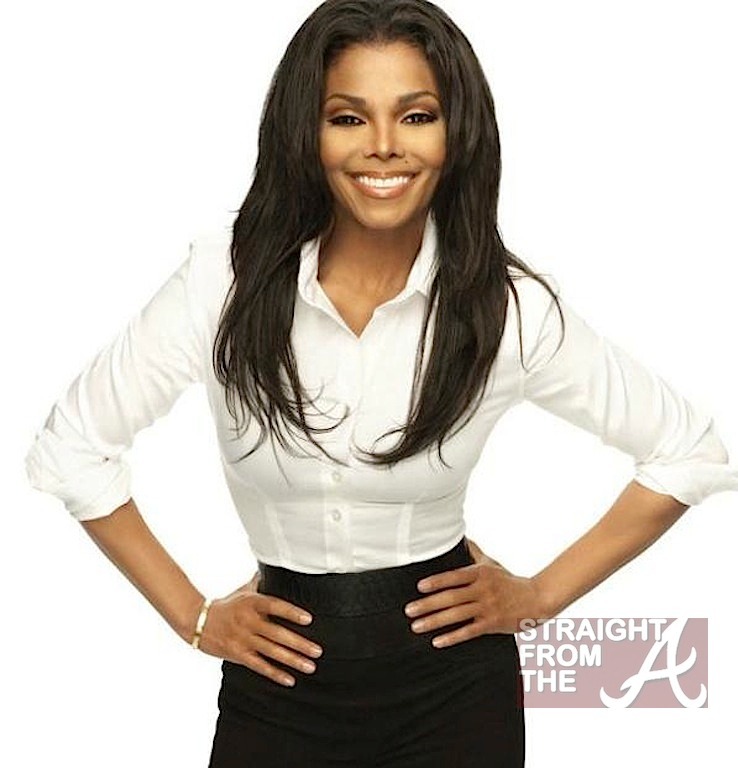 Well Janet has reconsidered her stance on the issue and admits that her team, acting on her behalf, had been a bit too petty about the situation and now she’s ok with fans posting short clips online. 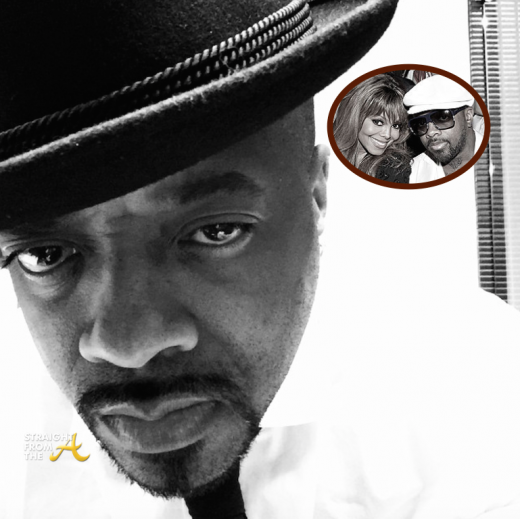 Word on the curb is that super producer Jermaine Dupri might be considering spilling the tea about his years of involvement with Janet Jackson! I posted a few photos of Tameka Raymond yesterday and someone pointed out that the emerald green dress she was rocking looked vaguely familiar. I did a little digging and it just so happens that the Emerald Green Applicqué Lace Cocktail Dress Tameka is wearing was the same dress superstar Janet Jackson rocked on the November 2011 cover of Harper’s Bazaar Arabia, which came straight from the TOM FORD Fall/Winter 2011 womenswear collection. 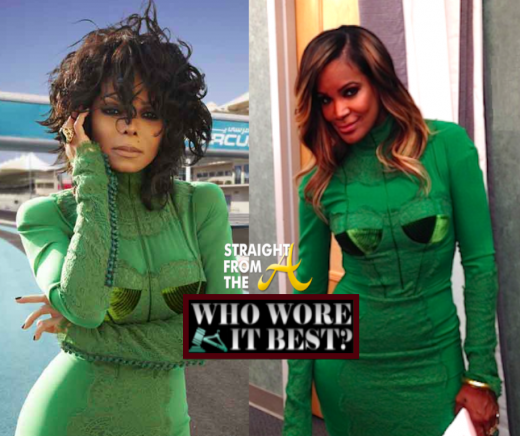 Both women look spectacular in green but umma give Janet my vote for actually being on a photo shoot (it appears Tameka is in a dressing room). Whatever the case, it’s the same dayum dress so let’s take a look at them both in it. Janet Jackson is known for her yo-yo dieting (aren’t we all), but the up again/down again songstress is on the low end of the scale after shedding a few pounds as NutriSystem spokeswoman.